China's Chang'e 5 lunar probe. Photo is courtesy of CASC. 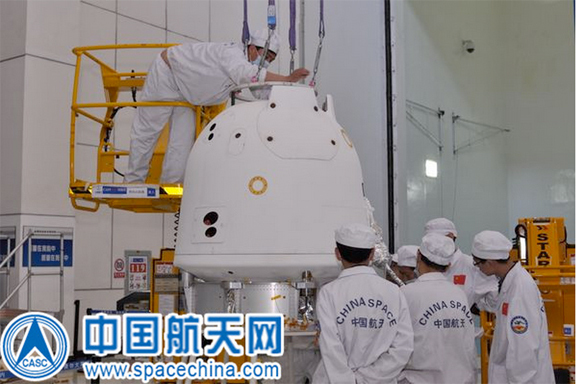 [SatNews] The service module of China's unmanned lunar orbiter is scheduled to return to the moon's orbit in mid-January for more tests to prepare for the country's next lunar probe mission, Chang'e-5. The service module was separated from the test lunar orbiter's return capsule on November 1, 2014, and the return capsule returned to Earth after circling the moon during its eight-day mission.